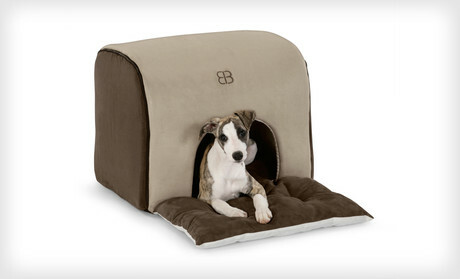 Great for Holiday Travel or Gift: PetEgo Soft Deck Pet House 46% Off + Free Shipping! This cozy and practical microfiber suede pet house go from flat to fully-formed structure with a few pulls of a zipper and comes in multiple colors. Like a bed and private retreat in one, it’s great as a gift or for travel…or just to spoil your own fur kid with their own little luxury den. Choose from Small or Large and save big! Visit Groupon.com here to get one for up to 46% OFF plus Free Shipping. Small is $39 ($63 reg.) and Large is $59 ($109 reg). Deal ends Wednesday. 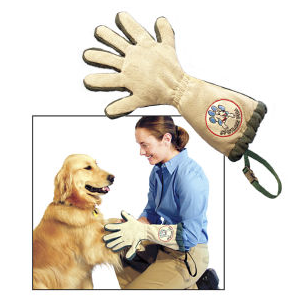 48% Off Spotless Paw Pet Cleaning Glove – Only $13 Including Shipping ($25 reg.)! This VERY popular item is back on sale this week at DoggyLoot.com! Get the Spotless Paw Pet Cleaning Glove for only $13 ($25 reg.) including FREE Shipping! What makes this cleaning glove special…and WHY does it have an extra finger??? The double-sided microfiber material absorbs 600% of its weight in dirt, mud, and water from your pet’s paws before it gets tracked into your home or car. Six fingers let you use the glove on both sides, either hand, and allow for deep cleaning between toes. It dries quickly for repeated use and is machine washable. 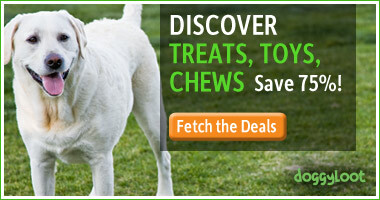 You can Save BIG on more pet supplies, treats and toys at DoggyLoot.com where they offer 4 new pet deals per day! 1SaleADay is a discount site with great daily deals that last only 24 hours. 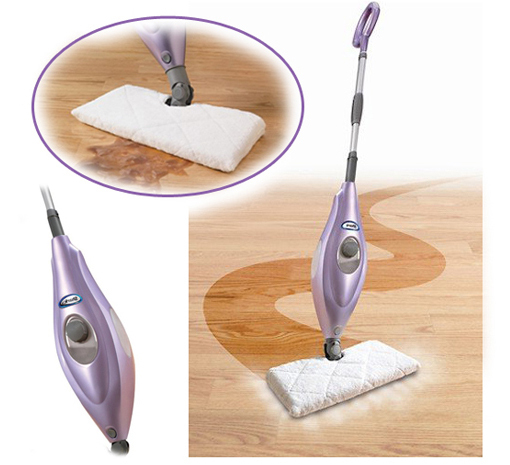 Today I spotted this Shark Deluxe Steam-Pocket Mop w/ 180-Degree Swivel Steering, Adjustable Telescopic Handle & Carpet Glider for just $34.99 + $4.99 shipping. That’s a savings of $115 off the regular price of $149.99! Sale ends at midnight or as soon as they sell out! This is a great cleaning tool for homes with pets and children because it uses NO harsh chemicals to clean your floors…the steam disinfects and deodorizes naturally! Plus it’s eco-friendly because there is no waste with the reusable microfiber pads! Check it out here! 40% Off Spotless Paw Pet Cleaning Glove – Only $9.97 ($16.99 reg.)! A reader named Jill contacted me after missing the last deal I posted for this paw cleaning glove and I promised to keep my eyes open for another chance to save. Here it is! Get 40% Off the Spotless Paw Pet Cleaning Glove, now only $9.97 ($16.99 reg.). You can Save up to 60% Off other pet and home cleaning solutions and products like this at the Whatever Works Outlet and Clearance Sale! Having trouble finding a deal on something for your dog, cat or other critter? Post a comment for me on Facebook or fill out the Contact Form here and I’ll do my best to help!